Coventry battled to a 2-1 win at Oxford on Sunday to earn their second victory of the League One season. James Henry hit the bar for Oxford in a tight first half while Coventry's Luke Thomas was denied by Jonathan Mitchel. The deadlock was broken in the 64th minute when Jordan Shipley's cross deflected in off John Mousinho. 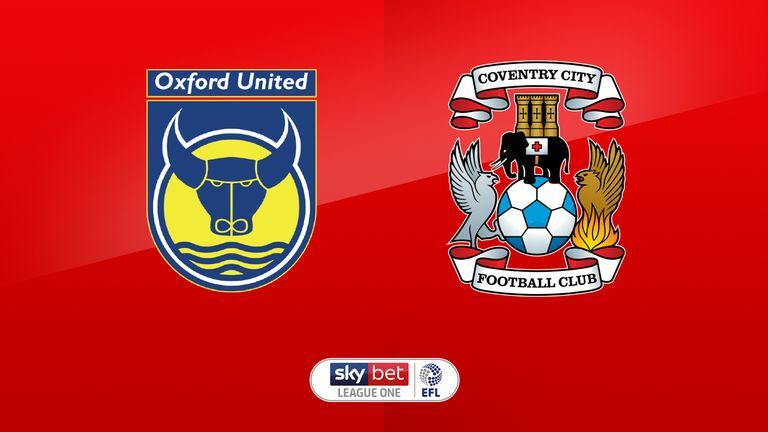 Summer-signing Conor Chaplin - making his first start - scored the second from the penalty spot and Coventry held out for victory after Jonathan Obika headed home from a corner for Oxford in the 86th minute. The win sees Coventry move up to 12th in League One while Oxford, who had manager Karl Robinson watching from the stands due to a touchline ban, are second from bottom. 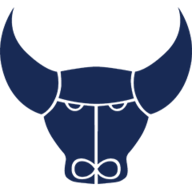 Both sides started the day in the relegation zone, but it was Oxford who made the better start to the match, with Henry curling a shot against the bar in the seventh minute. Coventry withstood the early pressure and Thomas went close when he neglected to square for Johnson Clarke-Harris and instead saw an effort saved by Mitchell. Jordan Willis headed over for Coventry at the start of the second half before Mousinho shot narrowly wide from a corner. The deadlock was eventually broken in fortuitous style as Shipley's shot hit Mousinho and deflected in, with Oxford goalkeeper Mitchell unable to get across after stepping the other way. Oxford were unchanged from their draw at Sunderland while Conor Chaplin made his first start for Coventry and Junior Brown replaced Brandon Mason at left-back. Lee Burge saved well from Henry to prevent an Oxford equaliser and Chaplin then finished from the penalty spot after Mitchell took out Shipley. Obika headed in from a corner but Oxford could not grab another goal. Making his first start since signing from Portsmouth in the summer, Chaplin showed some encouraging signs. He held the ball up well, created the opening goal and finished from the penalty spot to make it 2-0. Mark Robins: "We did not play as well as we have done today but you have to credit Oxford for that, they are a good team. You saw Conor Chaplin's movement and his willingness to get on the end of things. He kept going and got his just rewards." 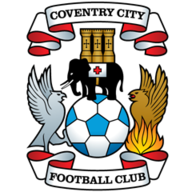 Coventry host Arsenal Under-21s in the Checkatrade Trophy on Wednesday before facing Barnsley in League One on Saturday. Oxford travel to Wycombe on Saturday.